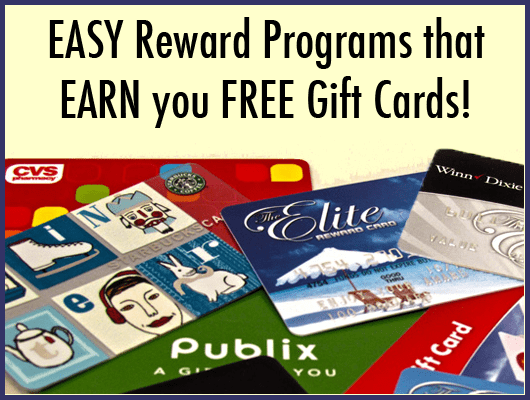 Reward Programs that Earn You FREE Stuff! You are here: Home / Blogging / Reward Programs that Earn You FREE Stuff! Ibotta: This one is easy! I use it for groceries! When I buy groceries, I scan them on the app and I earn cash back! I got $20 a week ago! EASY PEASY! Hallmark Rewards (This is not their Crown Rewards): This is NEW! Every 5 cards you buy earn you a $5 gift card right now! This can definitely change but Walmart sells cards for about $0.97! Soooo do you see the savings I see!?! My Coke Rewards! My husband is a huge Nike fan and they often have had magazine subscriptions and other gift cards! Well we save all our points from our 12 packs and our 20 oz sodas, and even collect them when we see them at our parents house! We cash in several times for free gift cards! Every December they do a promotion where they highly discount their prizes! Disney Movie Rewards: Okay, if you have movies, go through all the Disney ones and put in all your rewards! Huggies Enjoy the Ride: Okay do you have a little one in diapers?! OR are you still using wipes! Save those points! They also can earn your great gift cards and more. Kelloggs: Cereal boxes, Pop Tarts, several other Kelloggs products have these nice little codes inside! I just started collecting them but I know of other bargain groups that used them all the time! Go ahead and check your cabinets and start putting in those rewards! Shopkick: Shopkick gives you points for walking in stores AND then you redeem them for gift cards! I LOVE comments! What other programs should I add to this list?! Which ones do you use? I am always looking for gift cards. And some of the advice given on this page are really good! Thanks for sharing it! The Pampers and Disney Movie Rewards are my two favorite. Last year I turned in some of my Pampers points for a Little Tikes Shopping Cart for my daughter, and I’ve redeemed for a few things (ornaments, a Tigger Pillow Pal, etc.) from Disney. I use Shopkick to earn free gift cards just for walking into stores & scanning products. I earned enough to get a tablet for my son. And you get points for having friends sign up!